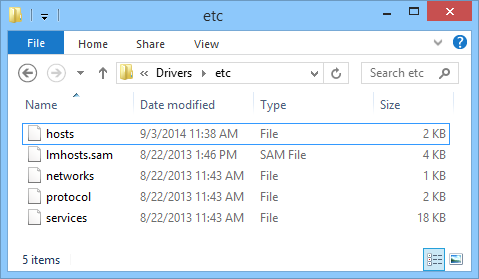 Go to the place where hosts file is placed i.e. where 127.0.0.1 is the IP Address and localhost is the Hostname, which means that localhost will point to 127.0.0.1 IP Address. Now lets add a new Entry, go to a new line (by Pressing Enter) and type the IP Address and hostname. The entry is pointing to the new server of Best 2 Know at inMotion Hosting, instead of the old one. I would recommend using ping command for testing as you can also view which IP address it is the Hostname pointing to. 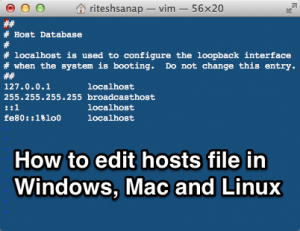 Now after learning How to edit hosts file, lets learn its uses. What are the uses of hosts file ? Well below are the 2 main reasons I use hosts file. When I move my Websites to a different Web server or Company. recently I moved all my websites to inMotion Hosting and after moving files and changing name servers, I had to view whether the website is working properly or not? At that time Hosts file came into handy and I was able fix all problems before visitors came to the website. it was a simple line in hosts files, that solved the problem. hosts file is also most popularly used to block access to specific site, like to avoid getting caught using a pirated softwares, some people block the Hostname of the Organization that made that software, So the serial key used to register it cannot be detected as a fake. if you want to block a website, just make map it to 127.0.0.1 IP address i.e.